Striped Platan wood inlays are an upgraded feature for the Large Sebenza knives. 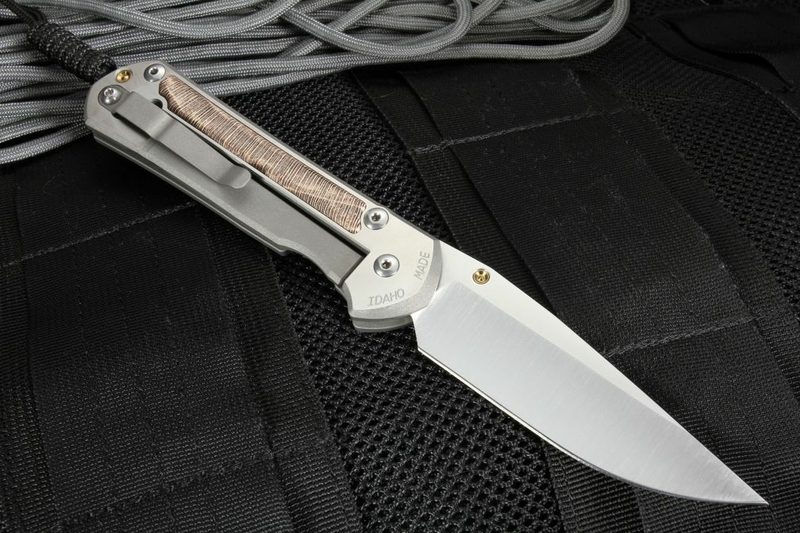 Despite the woods stylistic touches, this is a standard Chris Reeve hard-use folder with its high-performance construction. A member of the Chris Reeve collection of S35V blade knives, this large sebenza 21 Striped Platan wood inlay knife features gorgeous stabilized wood that looks great and adds the natural organic beauty of wood. The wood inlays are contrasted against the hand satin finished titanium flats and the dark gray blasted contours of the handle. This wood inlay sebenza comes with assembly/disassembly tools, a leather slip case and a CRK chamois. The entire package is first quality, an American-made product that you can take full pride in ownership and carry. The titanium construction of this knife has resulted in a large knife that is very light, weighing only 4.5 ounces. Like many Chris Reeve products, this knife features the very strong integral locking mechanism that has been perfected by Reeve himself. 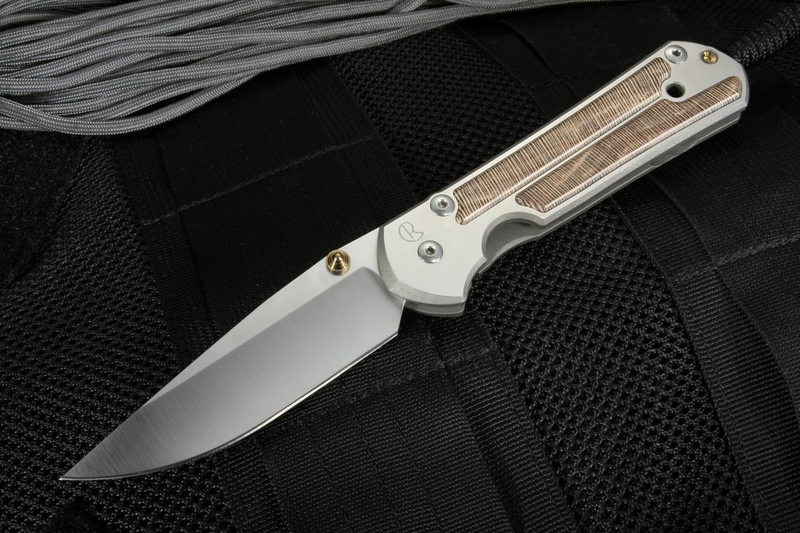 The wood inlays on this knife will make the large sebenza 21 stand out in a crowded field, as well as any display case. Order with confidence! We will provide fast, free shipping along with a full satisfaction guarantee.